Kathmandu, 5 February : The country is observing the 2855th Sonam Lhosar, a festival celebrated particularly by Tamang community, with various programmes today. Meanwhile, President Bidya Devi Bhandari extended a message of good wishes to all Nepalis living at home and abroad on the occasion of Sonam Lhosar. “The festival may bring happiness, prosperity, peace and progress to all Nepalis. All should focus on preserving and promoting Nepali festivals and culture so as to retain the identity of Nepal and Nepalis at the national and international level,” read the message. 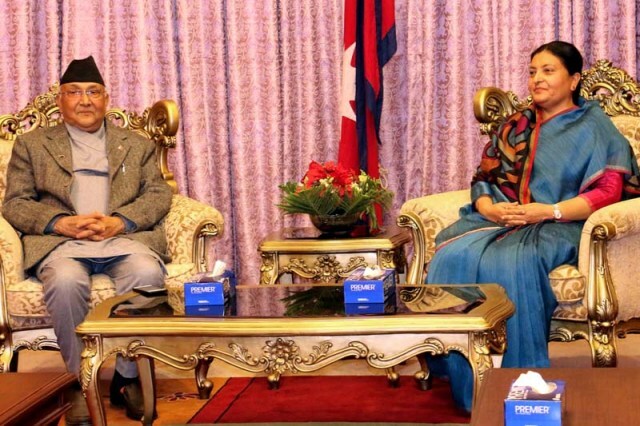 “Our cultural festivals, costumes can also contribute in the campaign of prosperity,” the PM has said adding that the current government was moving ahead with the goal of ‘Prosperous Nepal, Happy Nepalis’.